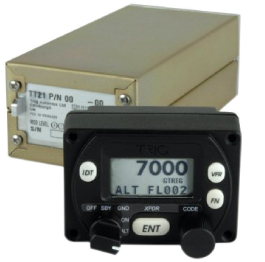 The Trig TT21 is a two part transponder system, which includes an integrated altitude encoder. In design and technology the TT21 is identical to the Trig TT22; the only difference is that the transmitted output power of the TT21 is lower, qualifying the unit as Class 2 transponder. Class 2 transponders may be used on aircraft cruising slower than 175 knots, and operating below 15,000 feet IFR or VFR. The front panel controller is smaller than a standard instrument, and the remote transponder is not much bigger than a pack of cards. The TT21 can fit into the smallest of aircraft - and yet it is fully certified and compliant with all the transponder requirements. The TT21 can be mounted in a standard 57mm (2 1/4 inch) instrument hole, or where space is really tight, in a compact mounting just 42 mm high. The TT31 is a power-efficient, inexpensive, Mode S transponder that meets the European elementary surveillance requirements. 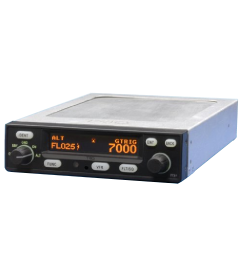 The TT31 fits in the same mounting tray as the KT76A transponder, making it a great choice for either upgrades or new installations. With a new software upgrade and a connection to an appropriate GPS, this will make the TT31 compliant with the FAA final rule on ADS-B Out for 2020. Follow this link to be re-directed to Trigs pre-approved Minor Changes listing for the TT31. Sharman Avionics also has a comprehensive listing of EASA approved minor modifications not listed on the Trigs website. Contact us for more information. With the TAS600 Series, Avidyne offers five different dual-antenna TAS systems, tailored for the type of aircraft you fly. 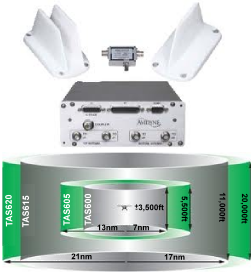 These feature-rich, affordable TAS600 series systems are fully TSO certified and fully ADS-B upgradeable, surpassing the performance capabilities of many higher-cost traffic systems and setting a new standard for active-surveillance traffic capability and affordability. Active-surveillance is vital for traffic systems to provide a full measure of safety - in busy terminal areas as well as in non-radar airspace. Avidyne’s TAS600 series systems detect and actively interrogate other aircraft transponders within range, display the surrounding traffic on a host of compatible display systems, and provide audible and visual alerts in the event of a potential traffic conflict. All TAS600 series systems provide real-time traffic monitoring and advisories, are not radar-coverage limited, and operate independent of ground-based systems. And with over 10,000 Traffic systems now in service, Avidyne’s TAS600 Series lets you fly with confidence, knowing you have a proven, accurate, and active-surveillance traffic system.